With modern technology, access to music has become quicker, easier, and nearly instantaneous. Especially with music-capable portable devices such as phones, laptops, and media players, which allow people to carry around thousands of songs in just one small device. Music organizing software such as Apple’s iTunes allows music lovers to sync their music with their various mobile devices. iTunes, in particular, makes it very easy for you to sync your media files to your other Apple devices. But the problem here is that transferring your songs from this service to Android devices isn’t always straightforward, while possible. In this guide we will show you how to transfer music from iTunes to any Android phone or tablet. The basic way of transferring music is by manually copying your iTunes music files into a temporary folder on your PC (or just transferring them directly from your iTunes library folders. Then one can simply connect any Android phone to the computer using a USB cable and open the phone’s music folder. Simply transfer your music files from the computer to your phone’s music folder. You can copy-paste, drag-and-drop, or use any other equivalent method. If you find the iTunes-folder-Android phone combo inconvenient, it’s also possible to use third-party software and apps to instantly transfer music from iTunes to Android. Gone are the days when you needed to go through complicated methods just to get your music on your phone. The cloud is one powerful tool, and Google Play Music harnesses its power to make music syncing convenient to all. First, let’s talk about the caveats of using Play Music. You will need an internet connection, at least for the initial set-up (try to make it an unlimited one). Because Google Play Music is essentially a music streaming service/cloud storage, you will pretty much be using your data all the time… unless you pin all your albums. Pinning simply downloads the music to your phone’s storage. There’s also a 50,000 song limit for free account users. Not like that’s an issue, but something to keep in mind for those of you with massive libraries. If you don’t mind dealing with that, simply use Google Play Music. The computer tool will allow you to sync your music folders with Google, adding all your songs to the cloud, from which you can play them using any compatible device. Just set iTunes’ default file folders for upload and you will be good to go. Several third-party programs allow you to directly transfer your iTunes music to Android. One of our favorites happens to be the doubleTwist app for both Windows and Mac. This application lets you transfer your playlists, music, and videos from iTunes to your Android phone. When syncing files using doubleTwist, take note that the copied music files will stored in the Music folder inside the internal SD card of the phone or tablet. Connect your phone to the computer. Make sure USB Mass Storage mode (or MTP) is enabled on your phone or tablet. Your device should be recognized automatically, which will trigger a syncing window. From here, you can use doubleTwist to transfer all music files, playlists, or selected music files from iTunes to your Android phone. On the Music tab in doubleTwist, place a check mark beside Sync music and select all the sections you want sent to your phone (playlists, albums, artists and genres). Tap the Sync now button at the lower-right corner to begin transferring your music to your Android phone. You can also wirelessly transfer music with the help of a doubleTwist AirSync, available on the Google Play Store for US$4.99. Alternatively, you can pay for the Pro bundle (includes all features) through in-app purchases straight from the doubleTwist app. That will cost you $8.99 , though… at least as of the time when this post was published. Those using the alternate AirSync app will still need the doubleTwist app on their Android phones, and the doubleTwist desktop client on their computers. Both devices must also be connected to the same local area network (LAN) for AirSync to work. For less expensive wireless syncing you can try the free and ad-supported Sync iTunes to Android app. The free version lets you sync one playlist at a time with a maximum of 100 songs. Or buy the paid version, Sync iTunes to Android – Pro, for US $2.99 to remove the limitations and ads. 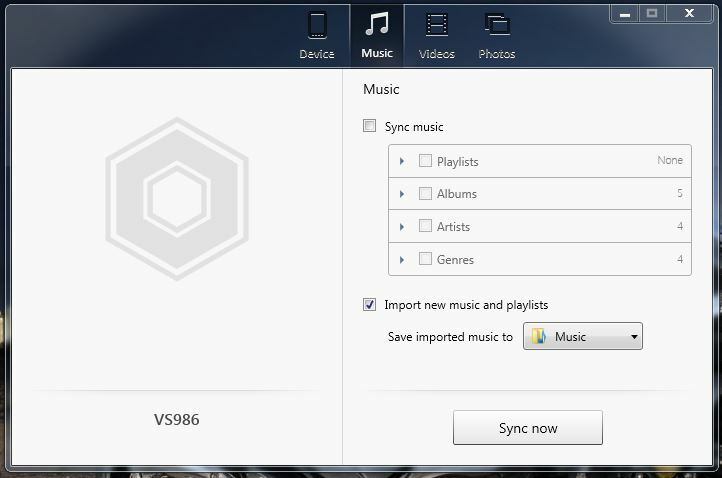 Download and install Sync iTunes to Android on your Android phone and the Synctunes d esktop client for your Windows PC. Launch Sync iTunes to Android on your Android handset and take note of the IP address displayed at the bottom of the screen. Launch Sync iTunes to Android on your computer and type the unique IP address shown on your phone. A window will appear, showing the media files to be synced on your phone. Click Yes to continue. A pop up dialog will appear, indicating successful transfer of music files. iTunes has a very strong association with Apple and Apple products. Yet, it is not impossible to transfer music from iTunes to your Android phone. In fact, these tools make it quite easy! Don’t want to mess around with tools and transferring though? There’s another alternative that’s worth mentioning — switching to a streaming service. While not all your music might be available in the cloud, Apple Music, Spotify, and Google Play Music are just three options that cover a pretty wide breadth of musical genres. For those that would rather keep to physical music on their device, which of the methods worked for you? Are you using a method not described here? Share your experiences with us by leaving a comment.